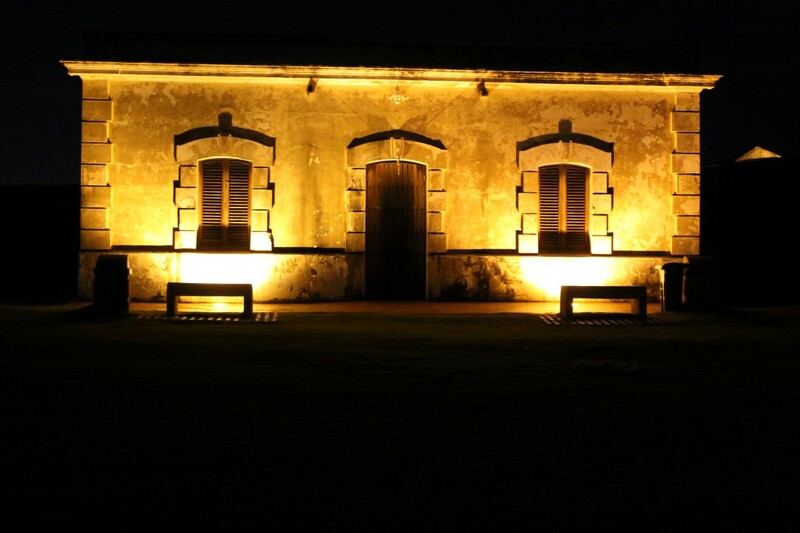 During the night of the full moon, Old San Juan, Puerto Rico lit by the moon light left me speechless. The beautifully illuminated city transformed into a whole new world, both elegant and eerie. 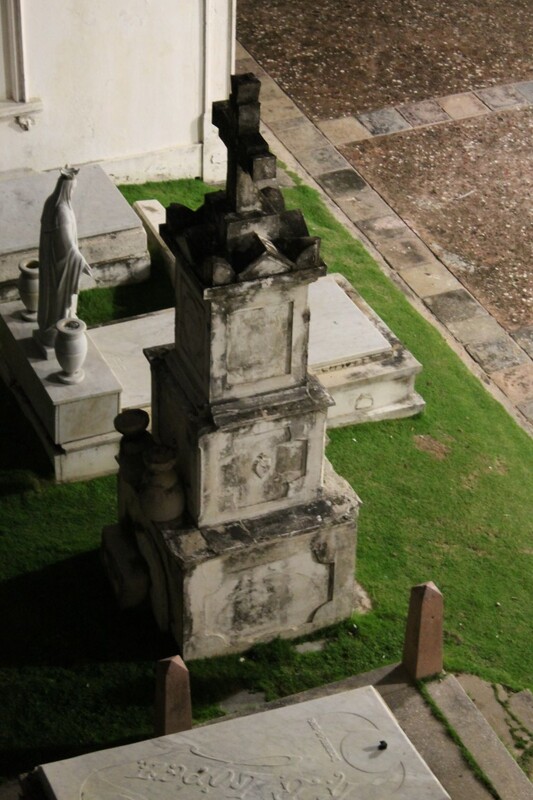 This week, I couldn’t pick just one photo to represent Old San Juan at Night. 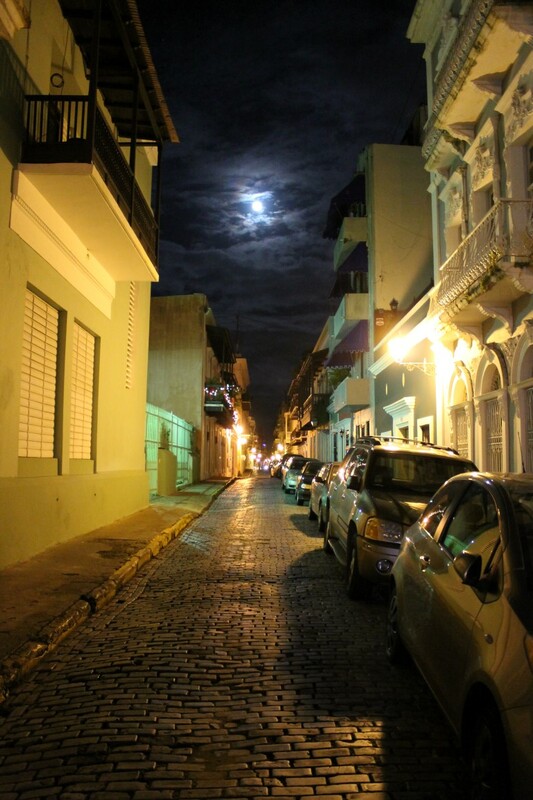 This entry was posted in Puerto Rico and tagged Caribbean, experiences, Full Moon, Old San Juan, Old San Juan at Night, Puerto Rico, Travel, travel photography, Turquoise Compass by Turquoise Compass. Bookmark the permalink. 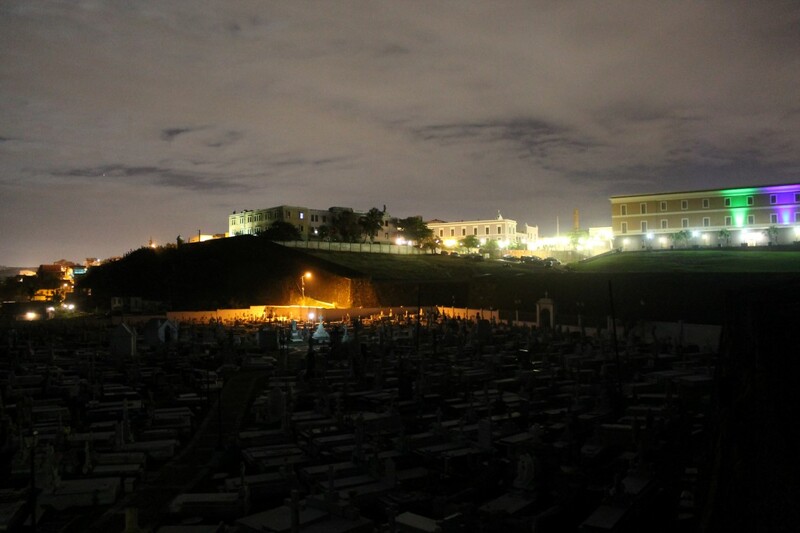 At first I thought the one of the cemetery was beautiful until I saw the one of the city street with moon and cloud and I was taken. It is really something isn’t it? Now these are some really stunning nighttime shots. Great job! Thank you so much! The night of the full moon had me itching to get some great night shots! Thank you so much! I am always looking for something unique to shoot! Thank you so much! It was fun taking these images on the night of the full moon.